A native of California, Steinbeck used his first-hand knowledge of ranch and farm work to portray America’s 20th-century migrant workers, farmers and other downtrodden groups. His Pulitzer Prize-winning masterpiece, The Grapes of Wrath, recounts the Joad family’s struggle for survival when they are uprooted from their farm during the Dust Bowl of the Great Depression. Steinbeck continued to write fiction mixed with social commentary, including Cannery Row, East of Eden and The Winter of Our Discontent. Steinbeck’s wife, Elaine, had attended the University of Texas where one of her classmates was future First Lady “Lady Bird” Johnson. In late 1963, the two women met again and their husbands met for the first time when “the Steinbecks attended a private dinner at the White House. At that time, the couple had just returned from a trip to Eastern Europe and the then Soviet Union, as part of the U.S. Information Agency’s (USIA) cultural exchange program. The Steinbecks were in Washington, D.C., for three days of debriefing by the State Department. The dinner at the White House was their opportunity to report directly to the president on their travels behind the Iron Curtain. Following the dinner, the two couples developed a warm relationship. 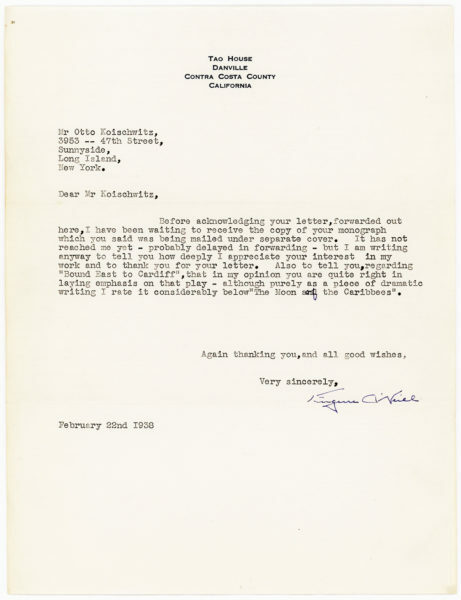 In the summer of 1964, Steinbeck helped Johnson write his acceptance speech for the democratic nomination,” (“Letter from President Lyndon B. Johnson to John Steinbeck,” Teaching with Documents, National Archives, Potter). 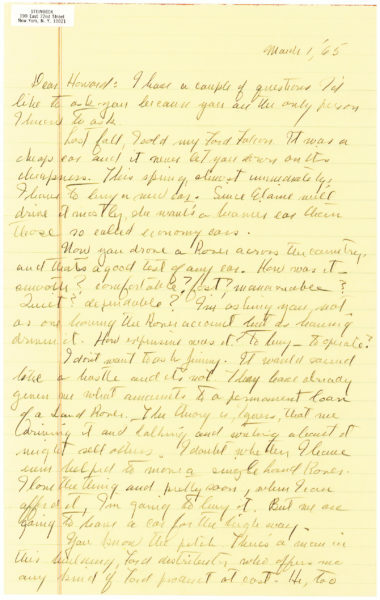 The following fall, on September 14, President Johnson awarded Steinbeck the Presidential Medal of Freedom (referred to in our letter), the nation’s highest civilian award for which he had been selected by President John F. Kennedy prior to the latter’s assassination. 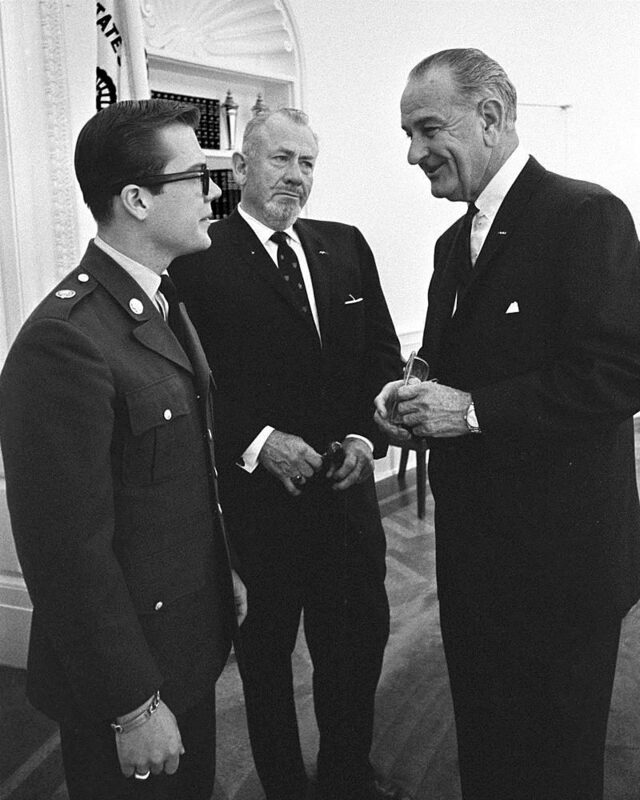 The Steinbecks were frequent overnight guests at the Johnson White House and in the spring of 1966 Steinbeck even requested the president’s assistance in assuring his son be stationed in Vietnam (at his son’s request). 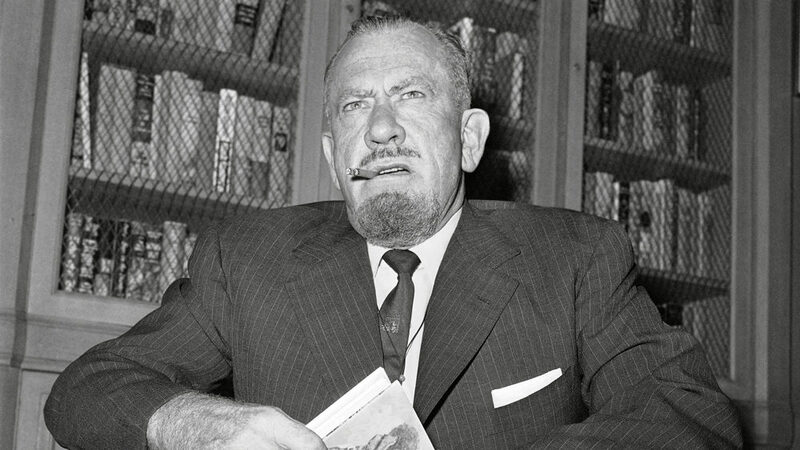 The president complied and met with Steinbeck and his son, John Steinbeck IV. 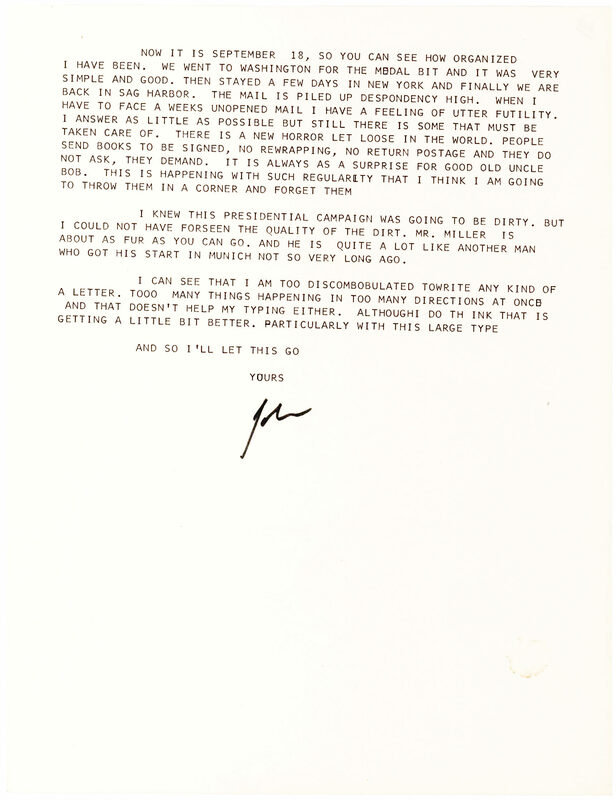 In our letter Steinbeck discusses the upcoming presidential election in which the incumbent Johnson with vice presidential candidate Hubert Humphrey ran against Barry Goldwater and his vice presidential candidate William Miller (1914-1983), a Congressman who was best known for his digs at President Kennedy. His obscurity gave birth to the doggerel “Here’s a riddle, it’s a killer / Who the hell is William Miller?” (Before the Storm: Barry Goldwater and the Unmaking of the American Consensus, Perlstein). Gossage was a groundbreaking advertising executive who co-founded the Freeman, Mander and Gossage agency that counted among its clients Petrofina Oil Co., the Sierra Club, Qantas Airways, and Rover. The agency’s home, a firehouse, was a hub of intellectualism frequented by futurist Buckminster Fuller and authors Tom Wolfe and John Steinbeck. 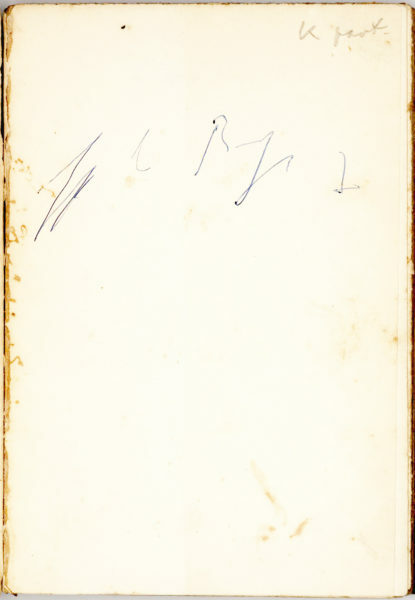 For several years, Gossage had been corresponding with Steinbeck, soliciting feedback about his Land Rover advertising campaign. Typed in all caps on a sheet of plain white paper. Folded into thirds and in very fine condition.